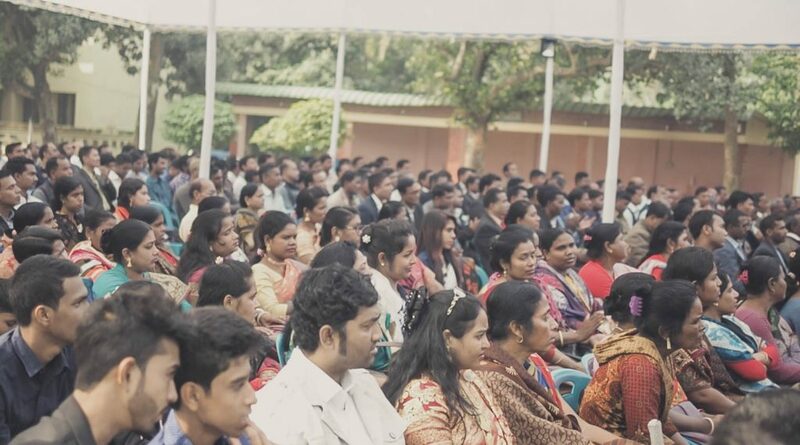 Prodeep Roy had a very personal reason for joining 500 Nazarenes in February to mark the 25th anniversary of the Church of the Nazarene in Bangladesh. “Today I thank God because many years ago I received Jesus Christ through the Nazarenes. Today is a day to thank God for his blessings to us.” The 65-year-old said that Christ has transformed his life. Roy is one of thousands whose life was changed forever by an encounter with the Living God, thanks to Nazarenes’ sacrificially and courageously bringing the Good news to their country people over the past quarter century, supported by their global church. In 1993, the church began in this South Asian nation with just a handful of members. Today, members meet in thousands of churches across the country. 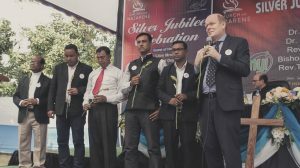 At the aptly named Hope Center, Roy and hundreds of Nazarenes of all ages represented these churches as they crowded into an open-air tent in the country’s capital of Dhaka for the Silver Jubilee. They sang, prayed, celebrated the faithfulness of God in the past, and looked to His promises for the future. 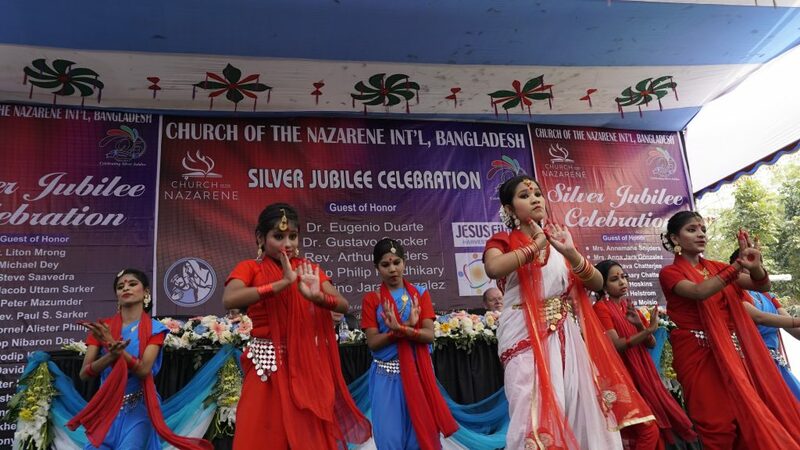 The gathering acknowledged that all the credit for the church’s existence and growth is to “the movement of the Holy Spirit,” said Milon P*., JESUS Film and child development coordinator for the Church of the Nazarene in Bangladesh. During the celebration there was also a moment of repentance and reconciliation. 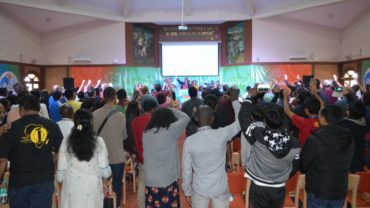 Led by Arthur Snijders, director of the Eurasia Region, and joined by Bangladeshi district superintendents and international denomination leaders, the church repented for the need two years ago to correct financial mismanagement and leadership conflict. 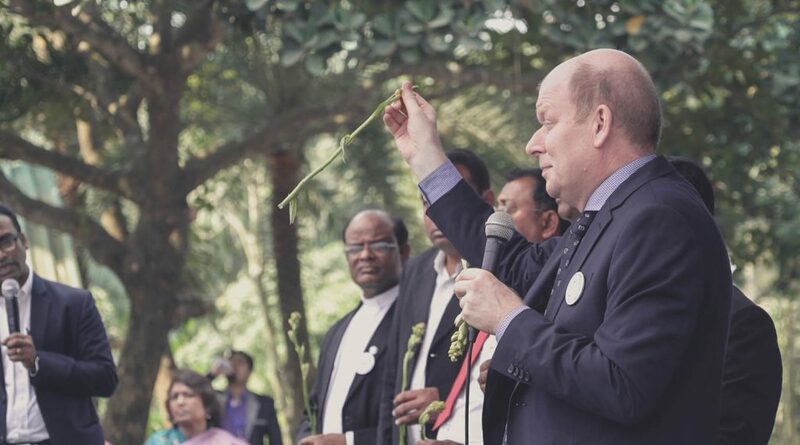 National, regional and international Nazarene leaders gathered on the platform to symbolically break the bottom stems from long stalks of budding flowers. 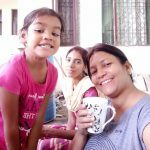 In this way they expressed that the sins of the past called for repentance and forgiveness, while also acknowledging the many blessings that God had given in years past. Both were brought to the wooden cross on the platform, like the sins and blessings being placed under the Lordship of Christ again. The message of healing reconciliation was intended to bring the church back together in forgiveness and unity after this painful experience. 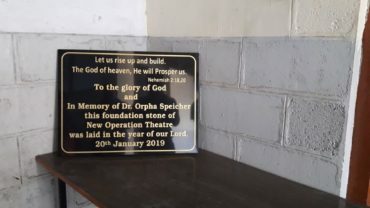 Among the guests were also representatives from other denominations and Christian organisations, rejoicing together with the church of the Nazarene. During the celebration, a 25th anniversary year book was distributed, including the history of the Nazarene Church in Bangladesh, a Bengali version of Nazarene Essentials and Invitation to a Journey. *Full names withheld for security reasons.